I love tabbouleh. Who doesnt love tabbouleh? It’s delicious and chock full o’veggies and herbs and tastes so fresh and light. It has such a minty-fresh-lemon taste to it. It’s perfect for summertime as a nice healthy side dish to any meal of grilled meat and great to bring to picnics and BBQs! Dressing – full of herbs and fresh mint! 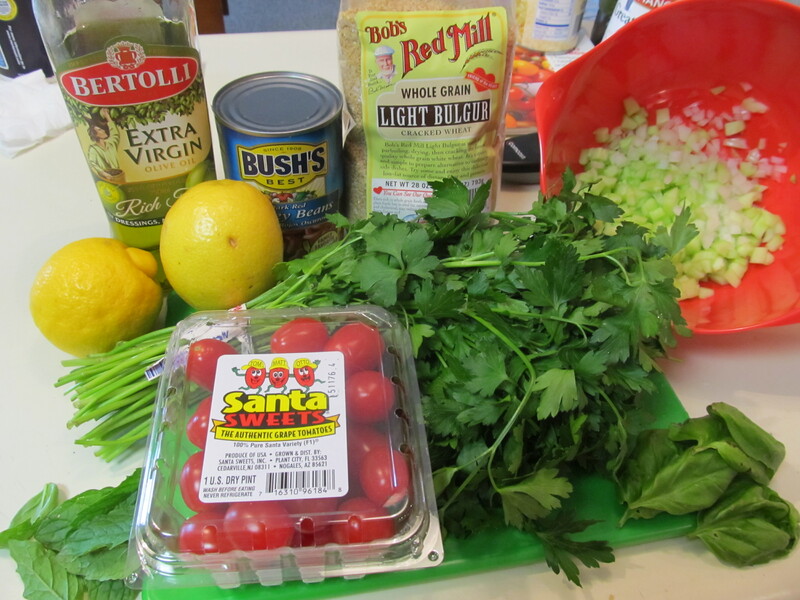 Place bulgur in strainer; rinse with cold water and drain. 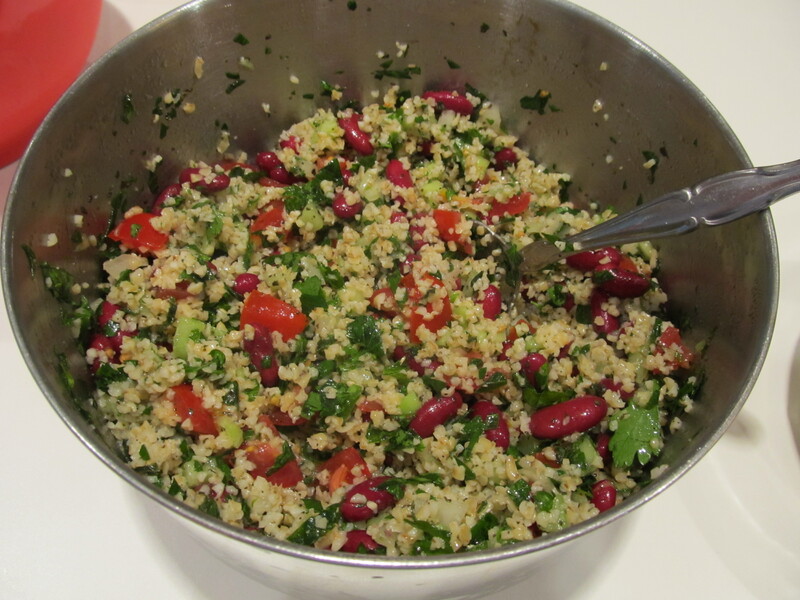 Combine bulgur, beans, cucumber, parsley and onion in medium-sized bowl. 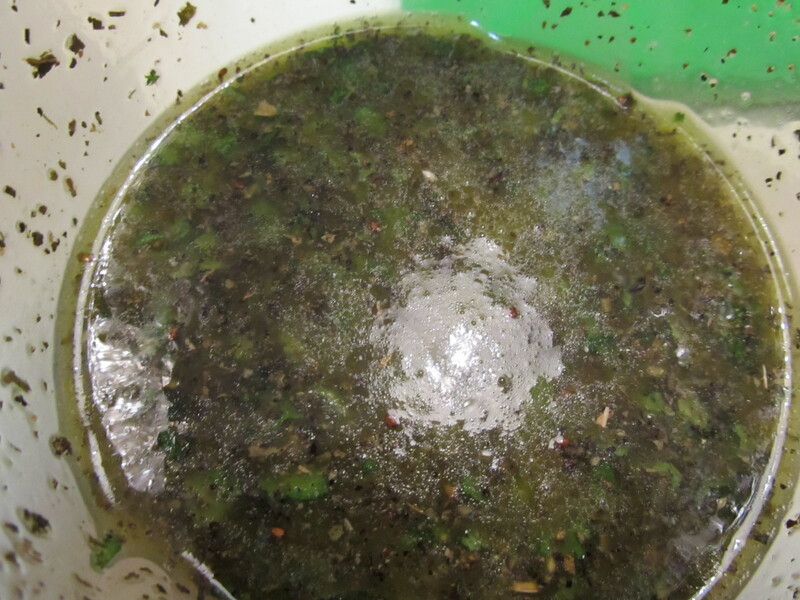 For dressing, combine ReaLemon, oil, mint, basil, salt and pepper in screw-top jar. Cover and shake well. Pour over bulgur mixture; toss gently to coat. Chill 4 to 24 hours. Before serving, stir in tomatoes. Uncooked bulger. I had no idea. Simple!